New Top-Q Hyaluronic Acid products are now available for the correction of wrinkles. 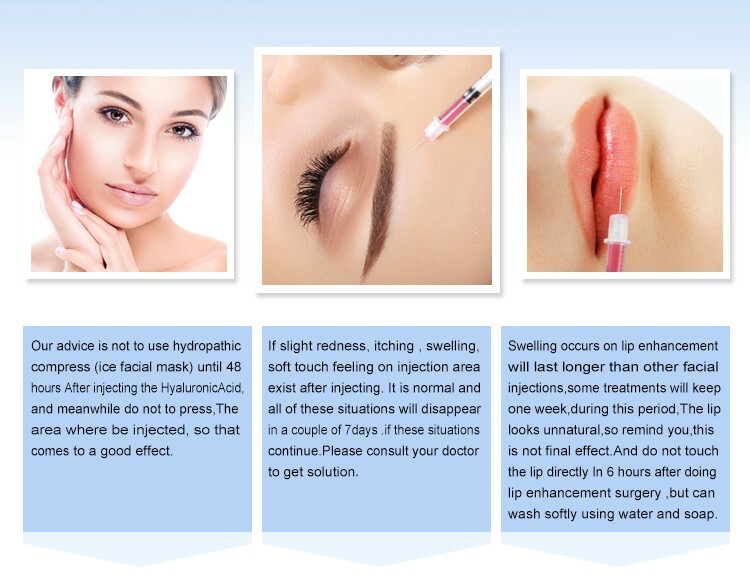 They can easily be injected into the skin, are very stable, and ensure a long-lasting cosmetic result. This new type of hyaluronic acid spreads evenly through the skin, creating a smooth transition between treated and non-treated areas. This anti-wrinkle treatment results in a particularly natural, beautiful appearance. 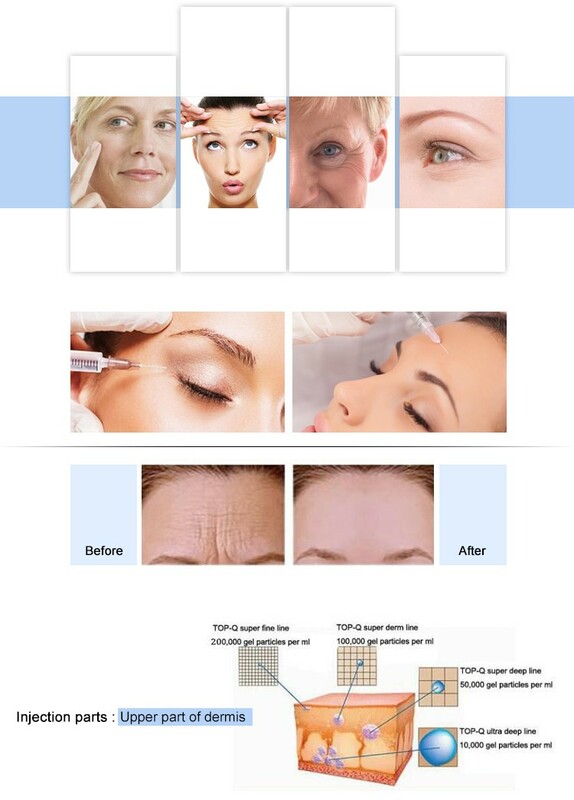 Large deep wrinkles and folds, it can fill wrinkles that pars cervicalis hands and chests. One pre-filled BD syringe and two BD needles in a PVC blister. 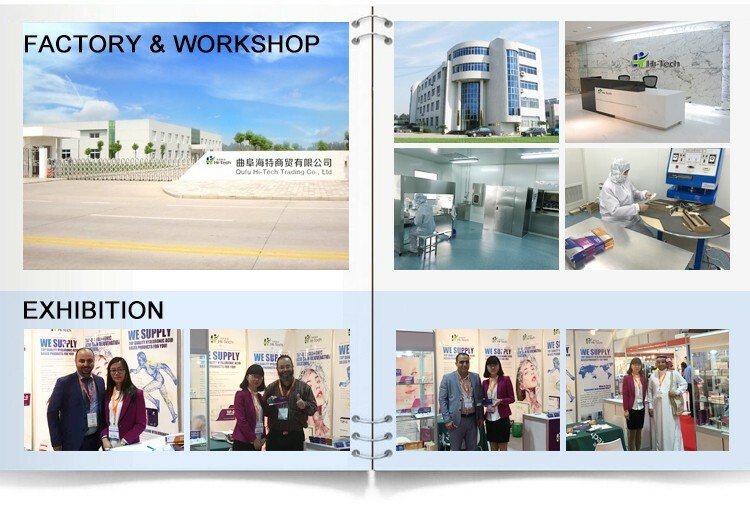 Qufu Hi-Tech Trading Co.,Ltd is committed to research and development ,manufacturing ,sales and marketing of high quality and affordable hyaluronic acid series products .The company situated at Qufu High-Tech Development Zone-----hometown of Confucius. Our strong products are : Hyaluronic Acid Filler, Mesotherapy Hyaluronic Acid Serum, Medical Sodium Hyaluronate Gel ,Hyaluronic Acid Materials & Hyaluronic Acid Skin Care Cosmetics. Our plants meet the GMP requirement. We have automatic fermentation and purification equipment, perfect quality management system and modern testing methods. 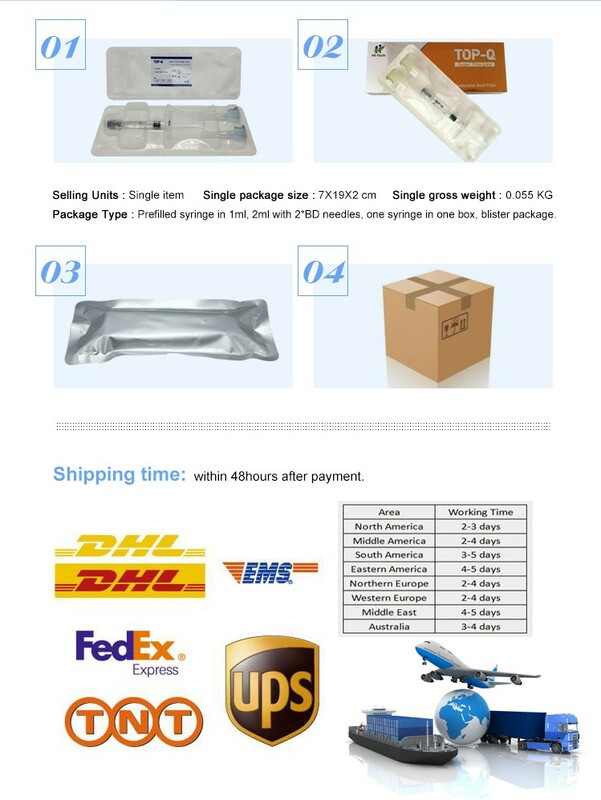 Our productive process has already reached CE, ISO9001:2008 Quality Management System. We have expertises and professors specializing in reseaching HA series for pharma, health food, cosmetic and beauty products. 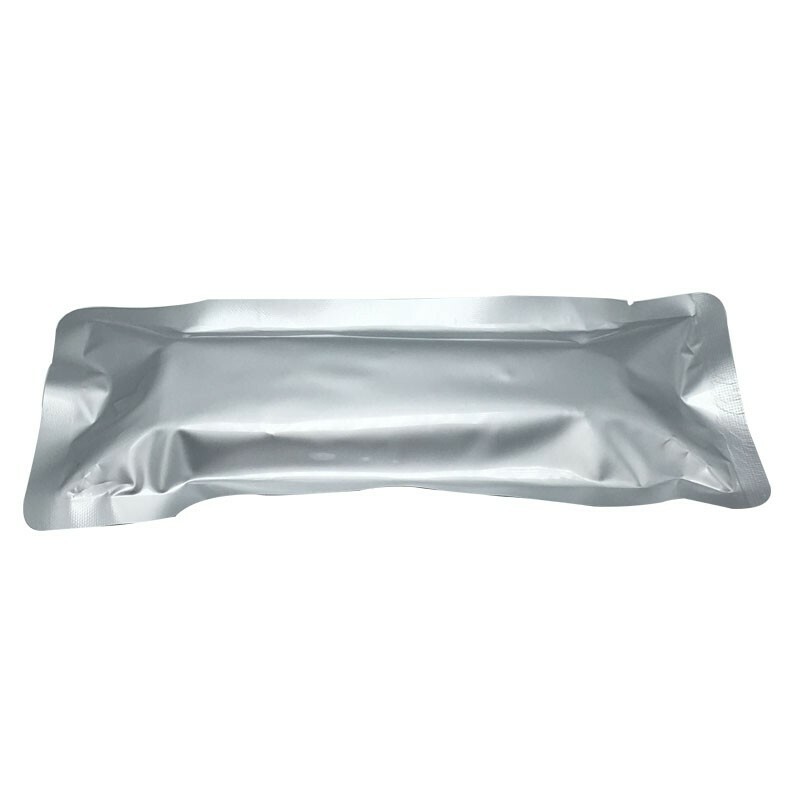 In addition,we offer our customers OEM and private labeling services to create your own unique line of hyaluronic acid products. 1 . Is it safe? There are very few risks linked to treatment with Top-Q Super Dermal Filler, partly because it naturally occurs in body. It is broken down by body. None of it remains in skin and the skin does not suffer any damage. 2 . How long does the effect last? Treatment results will different for each person. In a clinical study, the treatment results lasted for 8 months up to 16months after the first treatment session for most patients. Touch-up treatments can maintain the desired effect. 3. How long will the treatment session take? 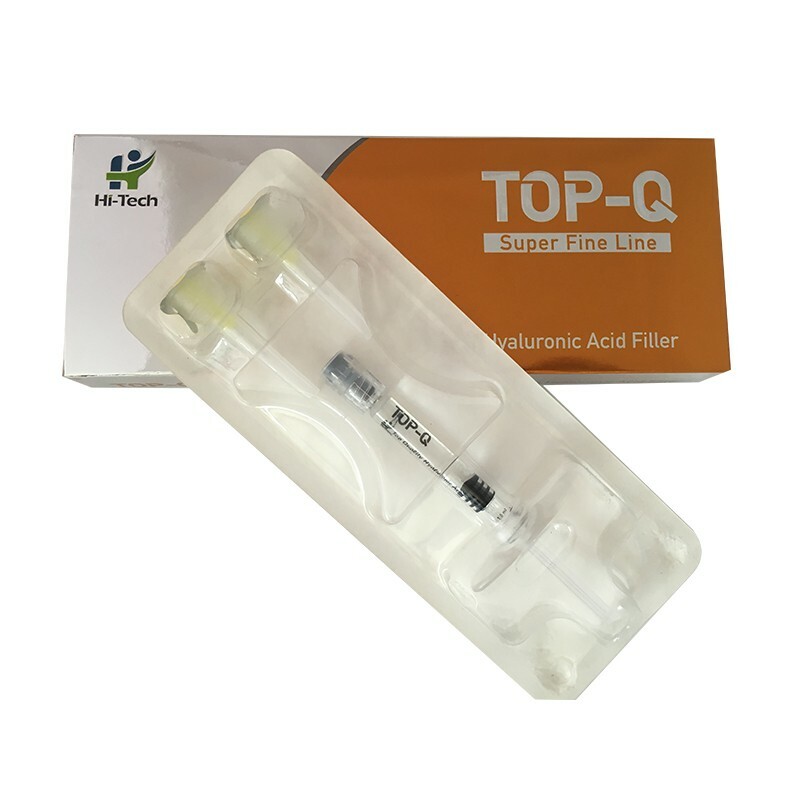 It is a very quick and easy process to be treated by Top-Q Super Dermal Filler. 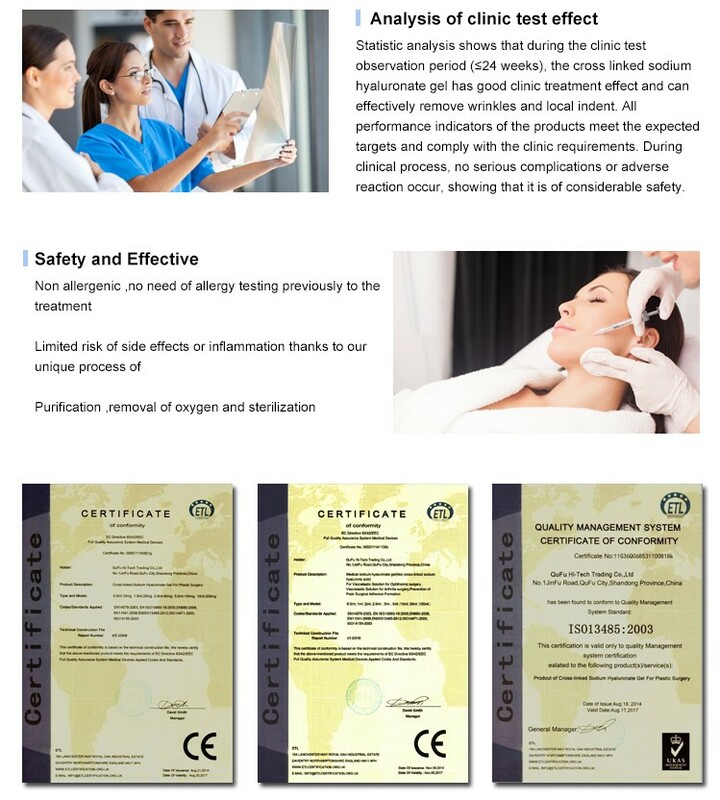 As no pro-test needed, the treatment can be carried out immediately. A treatment generally takes 30 minutes. 4 . Does the injection hurt? Most people find the injections relatively painless. They may prick a little. If you like, a topical anaesthetic can be applied to the area being treated prior to your procedure. When enhancing the lips, local anaesthetic injection is often used. 5 . Are there side effects associated with Top-Q Super Dermal Filler treatment? Minor complications can occur, but they are generally light and easy to manage. Top-Q Super Dermal Filler side effects include minor swelling, redness, and perhaps some mild discomfort at the injection sites.Inflammatory reactions may last for up to weeks in rare cases. 6.Can Top-Q Super Dermal Filler be used if I have had laser treatment or some other plastic surgery? 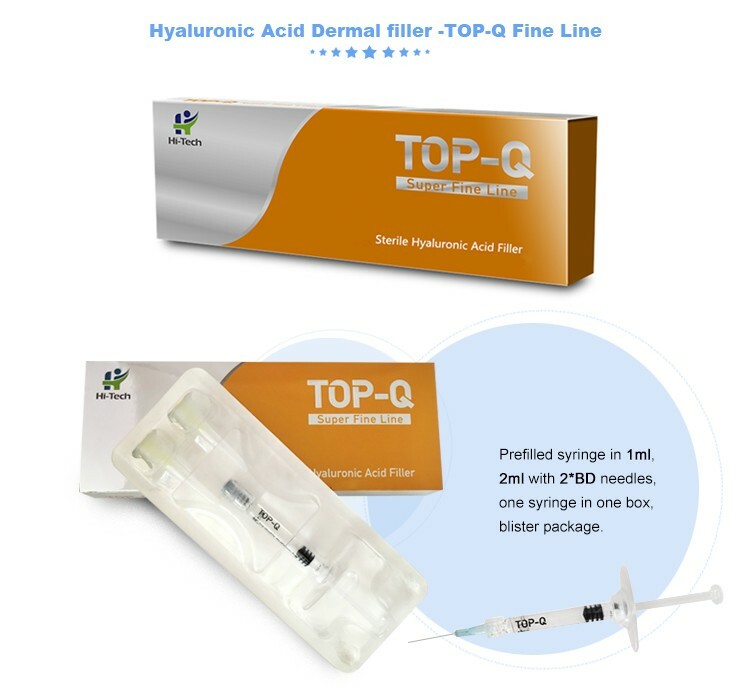 If you have plastic surgery recently,you should wait for your wound or cut to be healed completely.After the skin is healed back to normal condition,you can take Top-Q Super Dermal Filler Treatment.